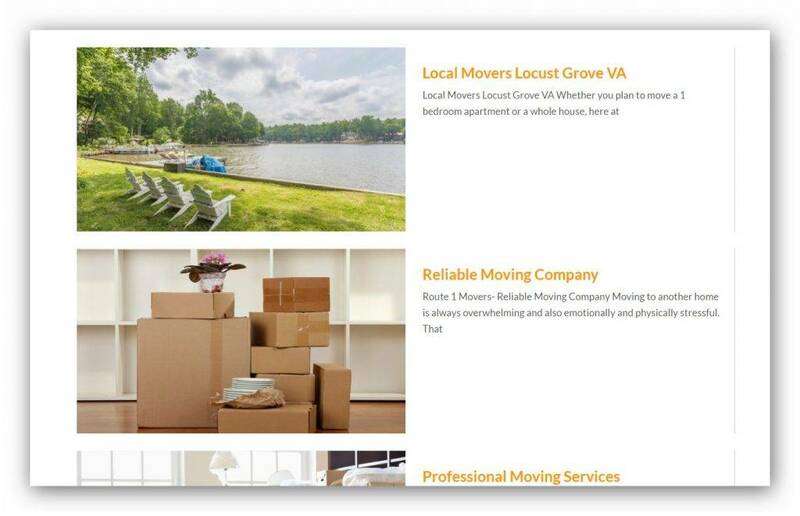 Here’s an example of a site that our team created for Route 1 Movers, which is based in New-York City. 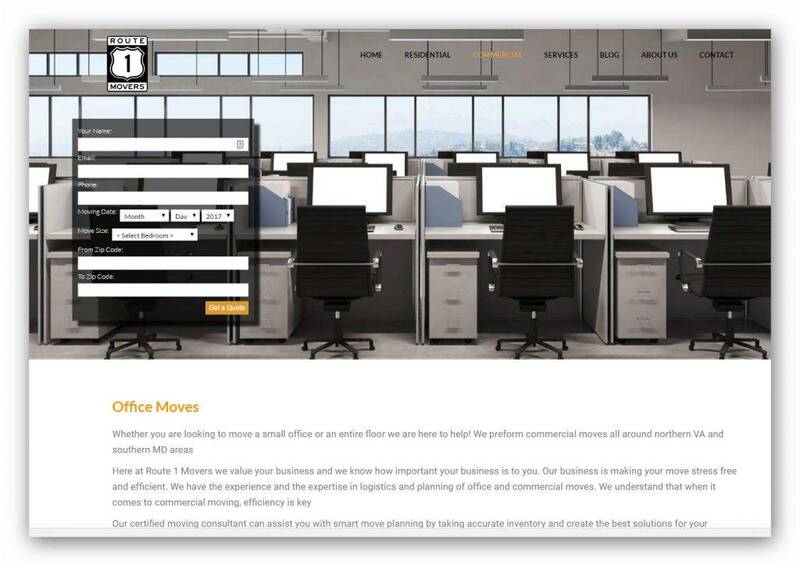 We decided the moving website design would be in black and white with the occasional spots of color. We felt that this gave it the look and feel of a stable, old-school company that was reliable and trustworthy. The home page features a black-and-white view of a four-lane highway that captures the essence of movers carrying goods across the country. The only touch of color was that of the moving truck belonging to Route 1 Movers. We added the company’s logo design on the truck and the page. 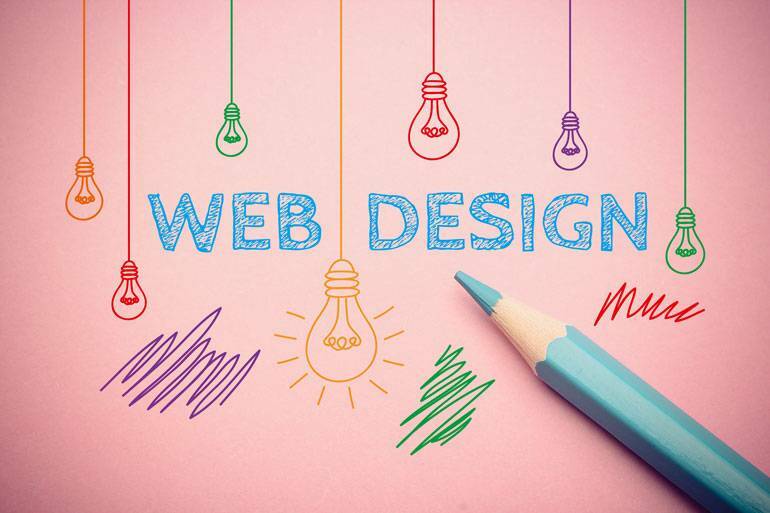 The result was an artistic, clean and striking web design that attracts the attention of all who look at it. We added a form on the home page that seeks to convert viewers into customers. Those who fill out the form are contacted by those who manage leads at the movers. 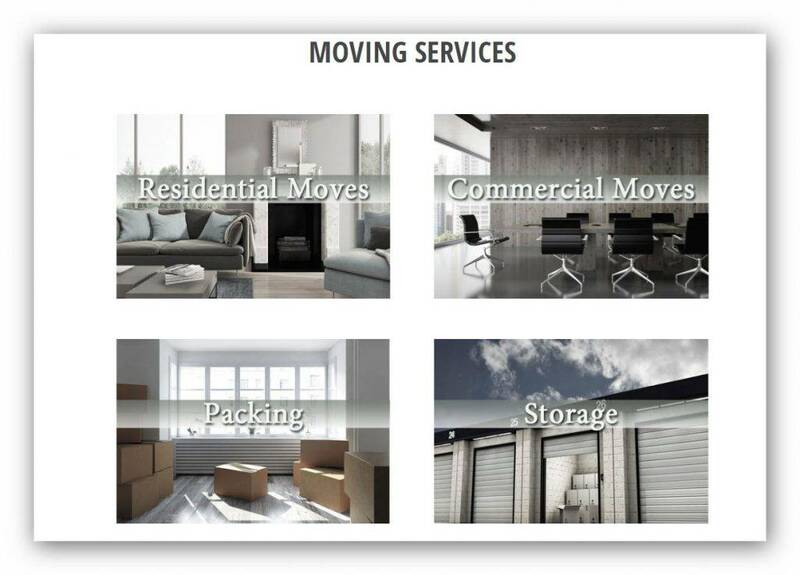 Below the scene at the top of the moving website design are four boxes that showcase the four major aspects of the movers — residential moves, commercial moves, packing and storing. They are also in black-and-white with small touches of faded color in them. At the bottom of the home page, we developed a video as part of the moving website design that is an advertisement for the company. The video is attractive and meaningful. We featured an honorable aspect of the company’s way of doing business by showing the donations it provides to others. This indicates that the movers care about people enough to provide them with help. 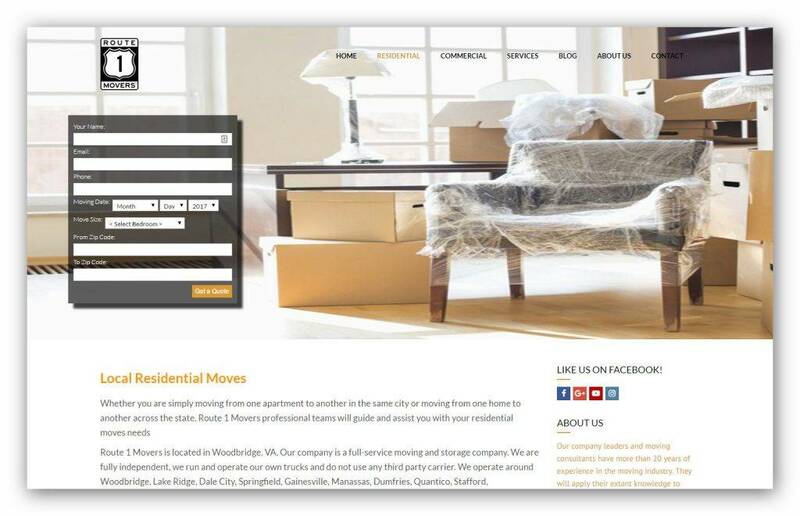 The internal pages of the mover’s site feature such topics as commercial moving, employee relocation and other services that the movers provide. Information, such as telephone numbers, is clear and easy to read. The moving website design is responsive, performing well on all devices including smartphones, tablets, laptops and desktop computers.